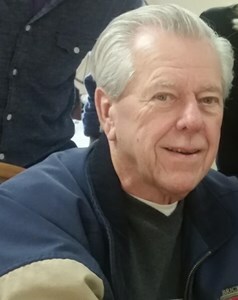 Newcomer Family Obituaries - William J. Ruff 1934 - 2019 - Newcomer Cremations, Funerals & Receptions. William Joseph Ruff, 85 years young, left us on January 29, 2019 with the same dignity and grace that he lived his life with every day. Born January 10, 1934, he was the 5th child of Carl Joseph and Catherine (McCarthy) Ruff. He considered himself a very fortunate man, for he had the opportunity to raise two families. He resided in Hometown, Country Club Hills and Crete in Illinois and Lakewood, Littleton, Sedalia and his last residence, Highlands Ranch in Colorado. He was a proud member of the International Bricklayers Union. He enjoyed traveling, camping, and hiking in the beautiful Colorado mountains. But most of all he enjoyed spending time with his family and friends. He is survived by his loving wife of 41 years Corrine Mary Ruff (Née Hunz), his children, Susan (Mike) Koch, Deborah (Peter) Teune, Rebecca (Guy) Chipparoni, Lawrence William Ruff, Mark Carl Ruff, Greg Feige, and children Deborah Lucero, Susan Britt, Holly Wagner, Michael (and the late Michelle) Conlon. Grandfather of eighteen and Great-Grandfather of two. Preceded in death by his parents and siblings, Elizabeth, Robert, Catherine and John. He will be forever in our hearts as we live each day to make him proud. Celebration of his life to take place in the summer of 2019. Add your memories to the guest book of William Ruff. I will remember his smile & laughter. He was always so kind. Hard to believe he died the day we buried our mom. Now they are all together once again our guardian angels. Sending our condolences to you and remembering the good and simple times on John Avenue. Please accept our sincere condolences on the passing of Bill. What a good man. He truly loved his family and was incredibly accomplished professionally within the BAC and the masonry industry. Additionally, he was known nationwide was one of the most knowledgeable refractory experts. He will truly be missed. We cannot put into words our sorrow for your loss. Our times together at the RC are often remembered and we enjoyed every moment together. Bill was such a gentleman respected by all. May the Lord give you strength to carry on Mary. Bill was a loving husband to my sister, Corrine Mary for 41 years. He , also, liked to cook. That was a special gift he had for Mary. Bill was a true trade unionist , dedicated to the service of our members. I always appreciated the leadership and advice Bill so willing shared. Our thoughts and prayers to Mary and the family . Mary and family. I am so sorry for your loss. I remember Bill fondly as a kind and gentle soul. I will always remember spending Christmas 98' with your family. We were lost that year after Mom died and you helped by being there, sharing your Christmas and teaching us dominos. :-) Take care of yourselves. Susie Britt and family. My condolences to all of you. Your dad led a remarkable life from what I have read. Made you all remember the great times you shared with him. Know that he is now in the arms of our creator and you all will be with him some day. May you all received comfort and strength in the days, weeks, months etc ahead. I am so sorry for your loss, guys. I have many happy childhood memories of your Dad. God bless you all. His angels are all around you.